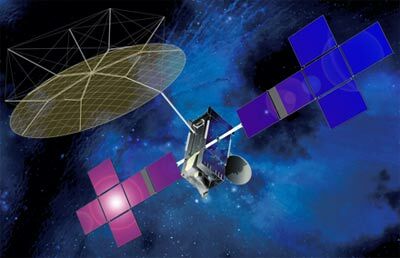 Space Systems/Loral announced June 30 2006 that it had booked a new telecommunications satellite order from EchoStar which is the CMBStar satellite for mobile video services to hand-held devices that China wants available in time for the 2008 summer Olympics. Officials of both companies declined to comment on CMBStar. It has been reported, that EchoStar Communications Corp., through an affiliate company, will own and operate the CMBStar satellite for China. EchoStar, a U.S. company, owning and operating a satellite serving China would not need to secure technology-export licenses under the U.S. International Traffic in Arms Regulations (ITAR), which govern satellite-related exports. Current ITAR restrictions would severely limit any Chinese customer's access to technical details of a U.S.-built satellite, and also would prevent the satellite from being launched on China's Long March rocket. Having EchoStar as the owner and operator would avoid most of those issues. EchoStar told the U.S. Securities and Exchange Commission (SEC) in April that one of its subsidiaries had made an initial down payment of $34 million on a "non-U.S. satellite services project," and that up to $115 million in additional EchoStar funding would be made available, pending project milestones. In May 2008, CMBStar was suspended to review, wether the satellite can meet its performance specifications. The long stored CMStar bus will be used for the newly in April 2014 ordered EchoStar 23 satellite.